[transcript of above video] We need to develop and strengthen our view, and in order to do that, we do meditation and practice. When we do meditation and practice, there are three parts: listening, contemplating, and meditating. Originally, there were the words of the Buddha, then there were all of the treatises written by the great masters and scholars, and then there were the instructions given by all the great meditation masters. We need to look at these, we need to listen to them well, we need to study them, we need to think about them, and we need to contemplate them over and over again. As we contemplate them over and over again, this is what we call “listening and contemplating,” and gradually we develop the meditation. Though really what we need to do is meditation practice, it needs to have the strong support of listening and contemplating. When the Lord of Refuge [HH] Trungpa Rinpoche came, he gave primarily the essence of the oral instructions. The reason for this was that during his time, would it have been possible to do any extensive listening and contemplating? At that time, it wouldn’t really have been possible because dharma was new here. Dharma was new within this language. He and other great lamas at the time just gave the essence of the instructions. He had plans to then expand what was available, making things more and more available, but because of difficulties and obstacles, he only had a very short life. 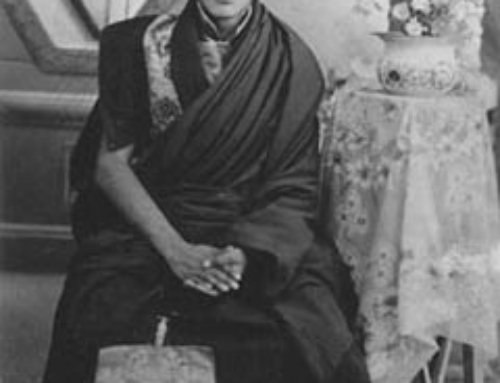 Even though he had only a short life, just as he himself planned, the teachings have gradually spread. They are gradually growing and flourishing. This is because of the many great translators. The translators have taken many Buddhist texts and translated them. The fact that they have been published in English is thanks to the great kindness of the translators. There are now plans to translate the Kangyur—the words of the Buddha—and the Tengyur—all of the treatises of the great masters—into English. Many other texts are translated as well, and there is this great amazing activity of all of the translators. 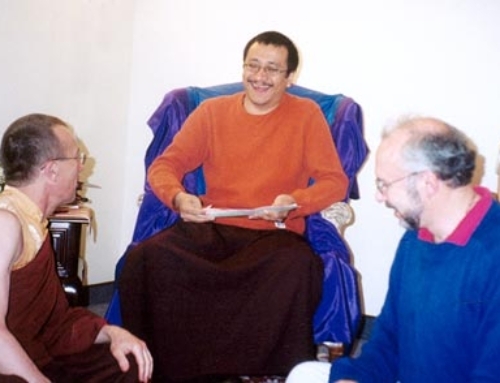 In particular, especially here in the Shambhala community, the Lord of Refuge [HH] Trungpa Rinpoche established the Nalanda and Vairochane Translation Committees, and they’ve translated a great many texts: instruction manuals, practices, various oral instructions, and a lot of other dharma. The fact that we are able to read these in a language other than Tibetan is thanks to the kindness of these translators. When we have a text in Tibetan, it’s customary to start by saying, “in the Indian language [this text is called such and such,” with the title in transliterated Sanskrit]. The reason for this is to remind us of the translators, making us think, “ah yes, it’s because of the kindness of the translators that I’m able to read this text.” It is put there as a way for us to feel faith and devotion. Really, for all us, the the Nalanda and Vairochana Translation Committees have been extremely kind. They have translated a lot of texts. The nature of things today is that when we talk about “lotsawas” or “translators,” if you were to learn a western language, imagine learning Russian, German, or French, for example, and you would translate from that language into English, translating things related to business, science, etc., they’ll pay you for it! You’ll get a lot of money for it; you’ll get a lot of support in terms of resources. But with Tibetan [laughter], there’s not a whole lot of money in it [more laughter]; there’s not a lot of support for Tibetan translators. In terms of becoming a translator, I had someone tell me once about learning Tibetan. When you want to study some other language, you have all sorts of resources such as tapes, videos, and computer programs, which makes it very easy. If you want to find an experienced teacher to teach you that language, it’s easy to find one. But when you’re trying to study Tibetan, it’s kind of hopeless [laughter] because there aren’t any good teachers, no good materials, nothing you can use to learn it. It’s basically just by being bull-headed on your own [laughter] that you can possibly learn Tibetan, otherwise it’s incredibly difficult. So then what is the reason that translators go through all this hardship? It’s because of their pure motivation and real kindness. They want to help people who practice and help the dharma. They believe that if they do this, it will help practitioners, and practitioners’ practices will turn out well. It is out of their great compassion for the students that they go through all of these difficulties. When we think about it, when we look at the texts, we have to remember the kindness of these translators. They’re working out of their pure motivation, solely for our benefit. Their motivation is unlike anyone else’s, since they aren’t doing this for the sake of wealth or material gain. They do it so that we can know what we need to know, so that we’ll be able to do our practice. For that reason, it’s very important for us to study and practice what they’ve translated, which is not simply necessary, but extremely helpful. If we can look at, study, and do these practices, that is what will fulfill the wishes of the translators. When we think about it, it’s important that we don’t let that go to waste, and that we use the texts they translate [laughter, clapping].